From the 285 to the 345, wide beams provide abundant space for people and storage. And underneath the hard-shelled exterior, you’ll find a soft and soothing interior. The raised-deck design affords spacious interiors with generous headroom and sleeping room. 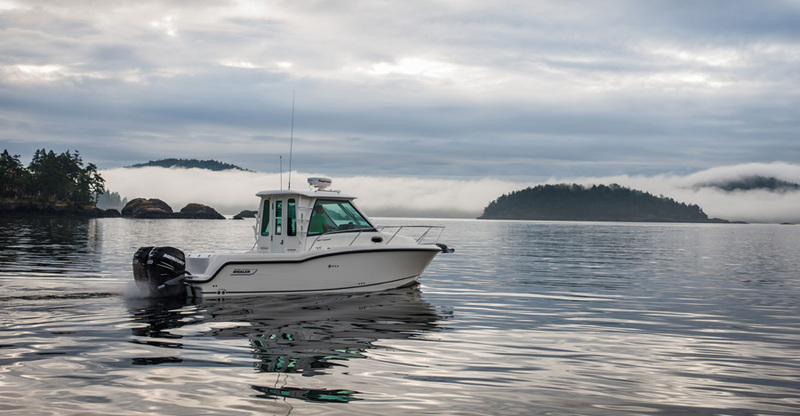 Wherever you take your Conquest, its Accutrack hull will get you where you’re going fast, dry and comfortable. The deep-V entry smoothes chop. There’s plenty of fuel capacity to cruise. Plus, with Whaler’s exclusive unsinkable Unibond construction, Conquests have swamped capacities of over two-and-a-half tons. You’ll find that heaven on earth is really on the water. In a Conquest.